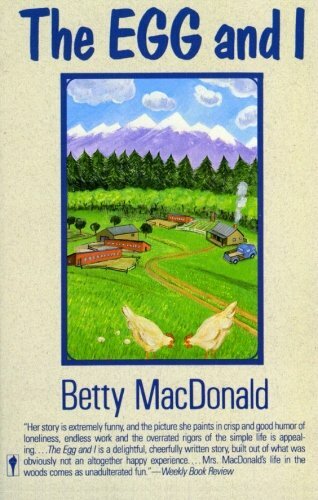 The author relates the joys and frustrations of life on a poultry farm in the mountains of Washington. When Betty MacDonald married a marine and moved to a small chicken farm on the Olympic Peninsula in Washington State, she was largely unprepared for the rigors of life in the wild. With no running water, no electricity, a house in need of constant repair, and days that ran from four in the morning to nine at night, the MacDonalds had barely a moment to put their feet up and relax. And then came the children. Yet through every trial and pitfallÃ¢ÂÂthrough chaos and catastropheÃ¢ÂÂthis indomitable family somehow, mercifully, never lost its sense of humor. A beloved literary treasure for more than half a century, Betty MacDonald's The Egg and I is a heartwarming and uproarious account of adventure and survival on an American frontier.